CAMBRIDGE, Mass. & SOUTH EGREMONT, Mass.–(BUSINESS WIRE)–Nov. 8, 2007–CombinatoRx, Incorporated (NASDAQ: CRXX) today announced a research collaboration with Charley’s Fund and the Nash Avery Foundation, both nonprofit organizations founded to support Duchenne muscular dystrophy (DMD) research. The collaboration will seek to identify novel disease-modifying multi-targeted treatments for DMD, the most common form of muscular dystrophy. The collaboration will focus on the use of the CombinatoRx cHTS(TM) drug discovery technology to identify disease-modifying multi-targeted DMD therapeutic candidates. CombinatoRx will be screening for synergistic activity in both DMD-relevant in vitro assays and assays that have broadly implicated mechanisms beyond DMD. Under the agreement, CombinatoRx receives up to $3 million in research funding, owns new intellectual property generated during the collaboration and has full worldwide commercialization rights to all product candidates. 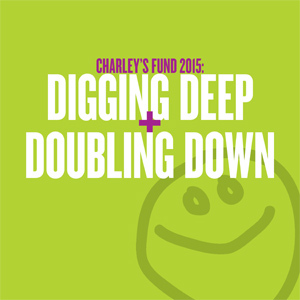 Charley’s Fund is a not-for-profit foundation that finances therapeutics development for Duchenne muscular dystrophy. The foundation’s mission is to expedite a treatment or cure in time to help this generation of children who suffer from DMD. Charley’s Fund targets translational research–research that moves science from the lab into human clinical trials. The 501(c)(3) public charity was co-founded in 2004 by Benjamin Seckler, M.D. and Tracy Kramer Seckler, whose 6-year-old son Charley has Duchenne muscular dystrophy. To learn more about Charley’s Fund, visit charleysfund.org. The Nash Avery Foundation is a not-for-profit private foundation that is focused on financially supporting programs that will slow and eventually stop Duchenne muscular dystrophy. Nash Avery Foundation was founded by Angela and Tom Wicka after their son Nash was diagnosed with DMD. The Foundation believes that the solution in stopping this disease will come from a combination of well funded science and getting talented people focused on this disease. CombinatoRx, Incorporated (CRXX) is pioneering the new field of synergistic combination pharmaceuticals and has a broad product portfolio in phase 2 clinical development. Going beyond traditional combinations, CombinatoRx creates product candidates with novel mechanisms of action striking at the biological complexities of human disease. The lead programs in the CombinatoRx portfolio are advancing into later stage clinical trials based on the strength of multiple positive Phase 2a results. This portfolio is internally generated from the CombinatoRx proprietary drug discovery technology which provides a renewable and previously untapped source of novel drug candidates. The Company was founded in 2000 and is located in Cambridge, Massachusetts. To learn more about CombinatoRx please visit www.combinatorx.com. This press release contains forward-looking statements within the meaning of the Private Securities Litigation Reform Act of 1995 concerning CombinatoRx, its planned research efforts relating to Duchenne’s muscular dystrophy, its collaboration research agreement with an affiliate of Charley’s Fund, its business plans and its drug discovery technology. These forward-looking statements about future expectations, plans and prospects of CombinatoRx and its research in the field of Duchenne’s muscular dystrophy involve significant risks, uncertainties and assumptions, including risks related to the unproven nature of the CombinatoRx drug discovery technology as applied to Duchenne’s muscular dystrophy, the Company’s ability to obtain additional financing or funding for its research and development and those other risks that can be found in the “Risk Factors” section of the CombinatoRx Annual Report on Form 10-K on file with the Securities and Exchange Commission and the other reports that CombinatoRx periodically files with the Securities and Exchange Commission. Actual results may differ materially from those CombinatoRx contemplated by these forward-looking statements. CombinatoRx does not undertake to update any of these forward-looking statements to reflect a change in its views or events or circumstances that occur after the date of this release. (c) 2007 CombinatoRx, Incorporated. All rights reserved.